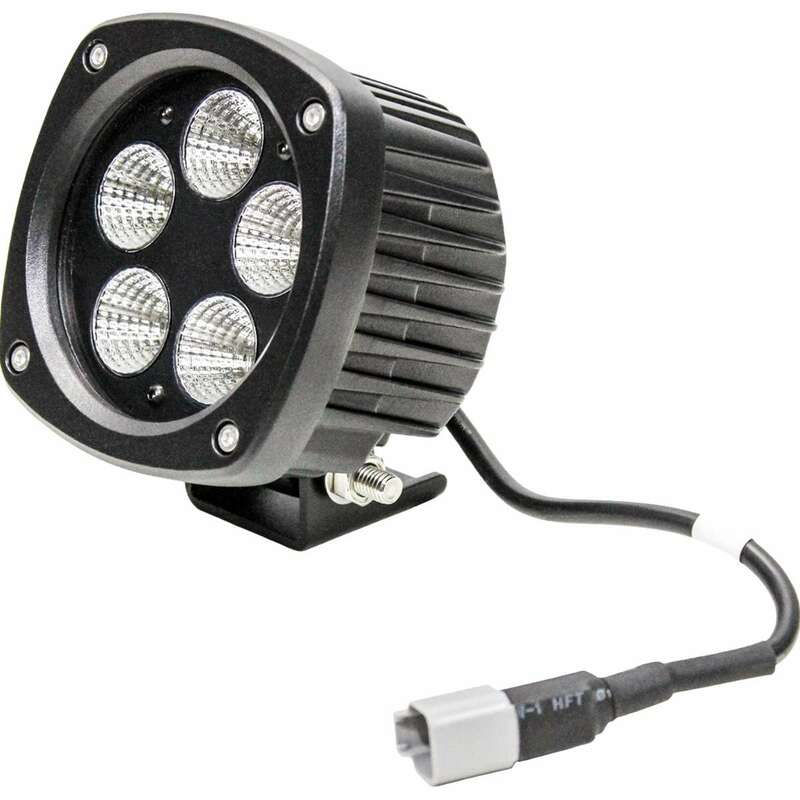 Use as a replacement LED Light for the Upper Cab Light on Caterpillar®, Gehl®, Komatsu® and Mustang® skid steers. 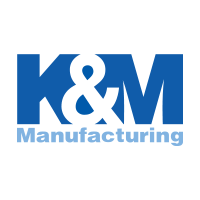 The KM LED Semi-Round Flood Beam Light features a durable polycarbonate lens, they are built to be RoHS compliant, and come with stainless steel hardware. The color of light LED's emit is near the color spectrum of the mid-day sun and allows the human eye to function and view objects better to improve your work environment. Save yourself time and money with LED Lights that are IP68 rated so that no dust will get in your light and your light can be fully and continuously submerged in water, but there will be no side effects. These lights have filters that will eliminate unwanted radio and electromagnetic frequencies from external sources. Their die-cast aluminum housing/heatsink gives them long-lasting durability with a high quality and long service life. Aluminum housing is specifically designed to dissipate heat away from the internal electronics, which increase light output and improves performance. This light is designed to handle any severe environmental condition. Replaces front upper cab light.